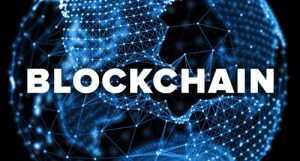 NEW YORK – OSA Decentralized (OSA DC), a team of experts in artificial intelligence, blockchain technology and veterans of the retail industry, has launched a token sale. The company’s goal – raise fund to scale its AI-powered, blockchain platform and give the entire retail industry a much-needed digital overhaul. Because of antiquated, analog-based systems still used in product ordering, shipping, and inventory management, retailers lose more than $400 billion each year because of overstocking or under stocking (many stores fail to efficiently manage inventory based on customer demand). An additional $100 billion is lost annually by supermarkets and grocery store chains when tons of perishable foods pass their expiration dates and have to be thrown away. The blockchain, AI and retail experts at OSA DC promise to bring order to the industry’s chaos by leveraging their platform and smart contract technology to ensure that every bit of data generated along a retailer’s supply chain is tracked by everyone else, from the farm or manufacturer to the distribution center, to the retailer, and finally to the hands of the customer. Because of the transparent and incorruptible characteristics off a blockchain (everyone maintains a copy of a shared ledger), OSA is confident there will be no more waste and greater trust between retailers and their partners. “There’s a massive shift underway in retail right now; supermarket chains in every country are trashing their antiquated, untrainable retail management software programs and replacing them with trainable, cloud-based algorithms and in-store robots enhanced with artificial intelligence,” said Alex Isaev, chief executive officer of OSA DC. More than 2,280,000,000 OSA tokens have been issued with 45% of tokens (1,028,000,000) available or purchase during the month-long sale (1 OSA token = 0.0002 ETH). The company anticipates it will raise up to $80 million in the offering, with 39 percent of the accumulated sum to be used for product catalogue and image recognition development, 21 percent to be invested in core product development, 18 percent will be invested in R&D, and 17 percent to support business development. Consumers will be able to use OSA tokens to pay for B2C services, receive exclusive promotional offers and, of course, purchase groceries at major supermarket chains in Europe, North America and the Asia-Pacific region. Managers at partnering supermarkets agree with OSA’s founding team of data scientists that crypto currency, including OSA tokens, will be a standard, widely-accepted form off currency at grocery stores and retailers worldwide (currently in the U.S., 13 national retailers now have payment options for crypto currencies). Since it was founded in 2015, OSA has generated more than $1 million in revenue by partnering with 20 retailers and providing services to major, international brands, including Coca-Cola, Mars, L’Oreal, Nestle, and Metro Cash & Carry. For both retailers and brands, the company deployed the OSA Hybrid Platform, an AI-powered, big data platform that autonomously manages a store’s inventory, drastically reducing the frequency of out-of-stock items and improving revenues by 5.5% on average. After three years of R&D, and testing the platform through its partnership with Efficient Consumer Response (ECR), an organization that represents more than 70 of Europe’s leading manufacturers and retailers, OSA founders are ready to deliver their platform and proven solutions to retailers and supermarket chains worldwide. Because blockchain records, stores, and tracks complex digital transactions and detailed product data and then makes the data accessible to everyone on a retailer’s supply chain, this democratic, transparent technology is likely to have the greatest impact on the consumer. Whether information is delivered to them through a smart phone app in the short term or an artificially-intelligent shopping robot helper in the long term, shoppers will have access to a wealth of data about every product they’re considering for purchase while still in the store. With the unprecedented buying power this implies, consumers will know competitive pricing, extensive information about the ingredients of a food product they’re buying and whether it meets the specifications of their diet. Consumers will even know the name and address of the farm where a chicken they’re buying was raised or, if they’re about to buy a tuna from the “Fresh Fish” section of a grocery store, they’ll know instantly when and where the tuna was caught and whether the fish is truly “fresh”. All this data – and much more – will give consumers a level of shopping authority they’ve never had before. The emergence of well-informed, powerful shoppers explains why supermarkets are scrambling to be the first in their geographic or vertical retail market to integrate AI and block chain technologies. Embracing the technology now will do much more than save retailers money and minimize waste. It will give consumers the power and respect they have long sought from retailers for generations. With expertise in AI, blockchain and retail, the OSA team is ready to give shoppers the power and respect they deserve.